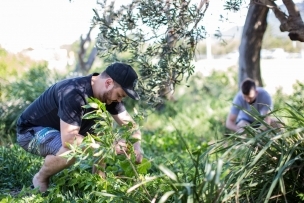 Originally a method of food collection for indigenous populations, foraging for wild food has found its way into culinary culture and is now embedded in the practices of many high-level chefs. Using wild food as not only an ingredient, but as a means of connecting their food to the landscape that surrounds them, Australian chefs have also begun an education in the traditions of indigenous cultures, and are using wild food as a tool to develop a uniquely Australian cuisine. 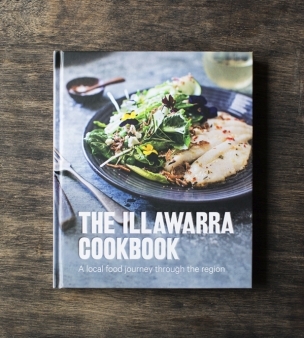 The Illawarra – a loose translation of a Dharawal word meaning “high place by the sea” – has a landscape as diverse as it is beautiful, from the pine forests at the top of the escarpment, to the twisted vines that crawl their way through its mountainside. Across rolling coastal dunes and into the living and breathing rock pool and mangrove ecosystems, the Illawarra is abundant with a world of wild food – one just has to scratch the surface. To tell us more, we enlisted the help of three of Wollongong’s top chefs, Tom Chiumento and Simon Evans from Caveau Restaurant and Andy Burns from Babyface Kitchen, to give us their tips on where to go, what to gather and how to use it, as featured in the latest edition of Coal Coast Magazine. Also known as Saffron Milk Caps, pine mushroom foraging is a feast for the senses. Meaty and delicious, these beauties are a gem of the foragers basket. “Autumn is pine mushroom season,” explains Simon. “Where there are pine trees, there can be pine mushrooms – they live in symbiosis. When the temperature drops and you get some rain and humidity, you’ll see them popping up.” “And they’re delicious,” adds Tom. “You could have them simply sautéed in some butter, or dehydrate them to preserve them.” When foraging mushrooms, be sure to have someone experienced to help you gather the right ones. There is a range of poisonous fungi which live beneath the pines so safety and positive identification is paramount. A morning stroll to the beach will take you right past an abundance of dune dwelling wild food. 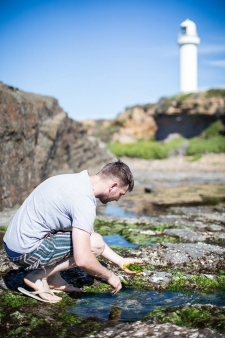 “Warrigal greens are a beach staple,” says Andy. “There’s so much of it around, it’s a coastal spinach, a bit salty. Just sautée the leaves like you would regular spinach, it’s delicious,” he says. “Saltbush is another great one,” adds Tom. “There’s heaps around Fairy Meadow Beach, you can add small amounts of it to meat or fish and it will work as a natural seasoning.” Other beach greens of the Illawarra coastline include Samphire, Sea Blite and Beach Mustard – coastal succulents, all high in natural salinity (so make sure you check your seasoning). They make a great addition to any stirfry, can be paired with a protein or used to season a soup or sauce. Wild foods may pop up where you least expect them. Median strips, shopping mall garden beds, or your own back yard can host a microcosm of edible food. “We forage lemon myrtle from Crown Street mall. It’s fantastic for teas or giving a bright citrus element to your dishes,” says Simon. Andy adds, “I grab lilly pilly from the carpark of my local grocer. It’s a beautiful purple berry; they’re quite sweet and acidic. You can make a jam from them, we pickle them and make vinegars in the restaurant. They’re a really cool ingredient and you see them everywhere.” “Nasturtiums are the darlings of finicky chefs at the moment,” explains Simon. “They grow everywhere – the leaves and flowers are both edible, quite peppery like rocket. You can add them to any salad, and they’re very pretty.” Whether it’s less familiar ingredients like these or simply picking mulberries, rosemary or bay leaves from around your neighborhood – take stock of the environment around you and see what you can find. Forage for yourself, then try your hand at our wild food recipe with barramundi, pine mushroom broth, beach vegetables, wild leaves & flowers from Simon Evans. For a deeper look at wild food in the region, listen to episode 5 of The Gong Show podcast where Andy, Simon and Tom chat about more wild foods and how they use them in their kitchens.